A buddy asked me to shill this event for him. It's a good cause. The Epilepsy Foundation of East Tennessee is hosting a Mud Volleyball Tournament on June 7 at Chilhowee Holston Volunteer Park. The tournament is a round robin tournament consisting of co-ed teams. Every team is guaranteed 4 games and a lot of fun. It’s $25 per person for a team of 10, or $32 per person for a team of eight. Registration is due tomorrow. Click RIGHT HERE for the details. This is a good organization. Out of every dollar it receives, 70 cents goes directly to the people it serves, which is around 32 counties. So, uh, if you had any questions about her ethics before, they should be removed. With a big middle finger to the good folks in the county, Criminal Court Clerk Joy McCroskey gave out a whole bunch of raises. Now, I’m not against people making a few extra bucks, but let’s not kid ourselves about the motive behind this. Anyhoo, we had a story about the increases RIGHT SMACK HERE. I talked to incoming clerk Mike Hammond this morning (we also quoted him last night) and he said that he has spoken with the Law Department, and that the employees – 70 of them – who received raises will continue to get them until he takes office on Sept. 2. At that point, he’s rolling them back. “I don’t mind being the bad guy,” he said. Hammond added that all the employees also will have to reapply for their jobs “at a certain salary rate,” although he expects that most people will keep their jobs. So, last night the Knoxville City Council signed off on Mayor Madeline Rogero's budget, and the first tax increase - 34 cents - in a decade (you'll note that it was one penny less than the one Gov. Bill Haslam put in place when he was mayor). Knoxville's property tax rate previously stood at $2.3857 per $100 of assessed value. The next tax bill city residents see will have a property tax rate of $2.72 per $100 of assessed value. This means a city resident with a $100,000 home will see an increase of about $84 per year. Knox County in the coming days will send the Town of Farragut an “intent to sue” letter tied to unpaid liquor taxes, although officials hope they don’t actually have to file a lawsuit. State law says that 50 percent of the mixed drink tax has to go to education. However, Farragut, which passed an ordinance in 1988 to allow establishments to serve mixed drinks, only recently starting paying the tax. The matter has caused confusion across the state and many officials for years didn’t even realize the law existed or that school districts were owed money. The issue was brought to the attention of county and city officials several months ago after Knox County received an email from the Tennessee Governmental Finance Officers Association. Since then, Farragut has started paying the tax. But, Knox County Law Director Richard “Bud” Armstrong said the county has until June 1 to submit a note to sue in order to have a chance at collecting any back taxes prior to 1999. If he doesn’t, then the county can seek only some $1.1 million owed since the late 1990s. “The suit preserves our right to go back to mid-1980,” said Armstrong, adding that the money owed between 1988 and 1999 is about $240,000. The law director, however, stressed that his office and Farragut officials are negotiating a plan to pay back the money, and that an actual lawsuit is his last option. “This is to preserve the money that is on the table – the total pot and not just part of it,” he said. A number of similar lawsuits by other local governments across the state have been filed in recent months. Well, at this point the county is not on track to reap another surplus like it has in recent years. As it stands, the county’s general fund revenues are up $3.1 million compared to this time last year, but expenditures also are up $4.8 million. The school system at this point is doing OK, although things could change. Revenues for schools are up $8.9 million compared to this time last year with $4.9 million in increased expenditures, so we’re looking at about a $4 million bump. All this, according to Knox County Finance Director Chris “Money Bags” Caldwell. Caldwell, however, said all this could be timing. That means next month the number might not look so hot. Or they could look even better. That said, if the school system does get a surplus it more than likely won't be applied to teacher raises. The system typically pays off other bills with part of this money. Road construction crews will close a stretch of Bob Gray Road, followed by the closure of a stretch of Bob Kirby Road, in order to build two roundabouts intended to improve safety and traffic flow. The first closure will be on Bob Gray at Mabry Hood/Hickey Road, and is scheduled to last up to six weeks. The closure will begin this Friday May 23, 2014 at 9 a.m. Eastbound traffic will detour via Lovell Road to Murdoch Drive, and westbound traffic will detour via Dutchtown Road to Lovell Road. Once construction of the first roundabout near that location is completed, Bob Kirby Road will be closed at Bob Gray Road. That closure is also expected to last up to six weeks. Eastbound traffic will detour via Lovell Road to Murdock Road, and westbound traffic will detour via Dutchtown Road to Lovell Road. All construction is scheduled to conclude by Aug. 11, which is the first day of school for Knox County students. Knox County Mayor Tim Burchett today fired back at critics who say the county doesn't put enough coin into the school system. In a news release issued today, he said Knox County "ranks 11 out of the more than 130 school districts statewide in local per-pupil funding, something that is not being made clear by those pushing for a tax increase." While some would have the public believe that Knox County does not provide enough support to the Knox County Schools, the reality is that our local per-pupil spending in Knox County is higher than nearly 92 percent of the state. When comparing only county school districts, Knox County ranks fourth out of 95 counties in the state in local per-pupil funding. There’s irony here. The state will be late delivering the so-called TCAP “quick scores.” That means Knox County students in grades 3-8 won’t get report cards until next week. I’m sure there will be some happy students. Here’s the letter RIGHT SMACK HERE from the superintendent to parents. Looks like the state is really on the ball when it comes to education and Knox County. Cut almost $3 million, delay test scores. This stuff comes in threes. Heh. Recently sworn-in U.S. District Judge Pamela Reeves will serve as keynote speaker during next week's annual dinner and meeting of the League of Women Voters of Knoxville-Knox County. The event, which is open to the public, takes place May 22 at the East Tennessee History Center. The evening kicks off with registration and a reception at 5:30 p.m. Dinner will follow at 6 p.m., and then the address by Judge Reeves. The organization also will hold a business meeting at 7 p.m. The dinner costs $30 and folks must make reservations and send in payments by Monday. For more details and to register, click RIGHT SMACK HERE. Six Knox County Commissioners today signed a note to Gov. Big Bill, pretty much asking him to reconsider that whole BEP funding thing that no one really understands that takes away almost $3 million in school funding. The commissioners - Brad Anders, Amy Broyles, Jeff Ownby, Mike Brown, Mike Hammond and Ed Shouse - say that the change in how money is doled how should be delayed another year. "We feel the current formula is unfair and holds us back from continuing to make progress in education," the note says. You can find the complete letter RIGHT SMACK HERE. Don't expect any changes. The state does whatever it wants and the governor is never wrong. Knox County Mayor Tim Burchett said he will in fact revise his proposed budget for the upcoming fiscal year to reflect a $3 million reduction due to state funding that the school system was initially projected to get. This is not a county vs school issue. The school system takes a hit this time because of poor revenues that go to the state. However, keep in mind that the state screws Knox County each year. We're what you call a "donor" county. That means we send way more coin to Nashville to fund the BEP statewide than our local schools get each year. This is something Gov. Big Bill and state lawmakers could fix if they want to. Here's the original blog story RIGHT SMACK HERE and the WBIR story RIGHT OVER HERE. The Knox County School system will get $2.9 million less than it initially expected in state funding, according to new estimates. That now means Knox County Mayor Tim Burchett has to either revise his proposed budget for the upcoming fiscal year or find more money to fill the gap. He said Wednesday that his staff is looking over the numbers and didn’t elaborate. In the past, he has said the county would fund only a revenue-neutral budget for the school system. According to new estimates, funding from the Basic Education Program dropped $2.9 million because of lower than expected revenues to an overall $176.67 million. Other school system also will see a decrease. State BEP funding along with revenues from property and sales taxes make up the brunt of the school system’s budget. This year, Burchett proposed an overall $730 million spending plan for the upcoming fiscal year, which included $427.8 million to cover the school system’s portion. The Knox County Commission on Monday will talk about the mayor’s budget. The school board and the commission will also hold a joint work session on Tuesday to talk more about it. The school system already was already expected to ask the commission to increase the mayor’s spending plan by additional $4.55 million, which they initially requested to cover a 1.8 percent raise for teachers. The commission will vote on the overall plan on May 27. Mike Hammond, who will take over the criminal court clerk’s office in early September, met with current clerk Joy McCroskey today, he verified. The two talked for about five to 10 minutes in her office. He said McCroskey gave him the go-ahead to meet with the employees, which he expects to do next week. Hammond said he’ll more than likely meet with all of them at the same time. “It’s really just a general meeting to say ‘hello.’ Obviously, I can’t do anything or set policy at this point, so it’s more to introduce myself,” he said. 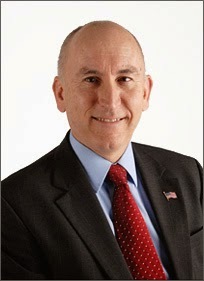 Hammond defeated two opponents in last week’s Republican Primary. He doesn’t face an opponent in the August general election. He’ll take office on Sept. 2. Knox County commissioners and school board members will meet next Tuesday to talk about the mayor’s proposed spending plan. The work session, which will be held at Ijams Nature Center on Island Home Avenue, is open to the public and starts at 5:30 p.m. It will come a day after the commission plans to hold its own public meeting to talk about Knox County Mayor Tim Burchett’s proposed budget for the upcoming fiscal year, which starts July 1. Commission Chairman Brad Anders said the meeting stems from an agreement made earlier this year between the two boards that they would get together more often to talk about county finances. He said this one focuses on the budget and gives each side a chance to fire off questions. Anders and school board member Lynne Fugate will moderate. The commission will vote on the budget on May 27. School board members during the joint work session are expected to ask the commission to increase the mayor’s spending plan by additional $4.55 million, which they initially requested to cover a 1.8 percent raise for teachers. Earlier this month, the mayor unveiled his proposed plan, a $730 million budget that gave the school board everything it asked for that would keep it revenue neutral. He said the additional $4.55 million would require dipping into the reserves, something he’s not going to do. Expect the commission to stick by him. He’s got his six votes. There are two mature Japanese maple trees located at the site of the new Knox County Regional Forensic Center that have to be moved in order for some of the work on the building to progress. Knox County Mayor Tim Burchett hopes to preserve the trees and generate revenue by selling them in an online auction through Powell Auction & Realty. Any proceeds from the sale of the trees will go to the County’s General Fund. Anyone interested in bidding on the Japanese maple trees can visit http://bit.ly/knoxtrees. Bidding ends May 19 and the trees must be removed by the buyer by May 23. Mayor Burchett will be available for interviews to discuss this effort from 11 to 11:30 a.m. Tuesday, May 13 at the future forensic center location, 2716 Sullins Street. Anyone interested in scheduling an interview during this time should contact Michael Grider or Jennifer Linginfelter. The Committee to Re-elect Daryl Fansler will hold a reception on May 19 at Calhoun's on the River, according to a new release. Fansler's campaign also just released its host committee members and supporters. There's some big dog names on it. To check it out, click RIGHT SMACK HERE. Briggs for Senate campaign launches new website today, modernizing its look and adding several new features to provide a more campaign friendly site, according to a news release. “We will provide updates often. This site will give the voter a new and easier way to hear from me,” said Richard Briggs. Briggs faces incumbent Stacey Campfield and some guy no one has ever heard of in Republican Primary. Cheri Siler has no opposition in the Democratic Primary. The new website, which you can find RIGHT SMACK HERE, will be updated often during the campaign, according to the release. “We hope to add new features to it as we go along, and our goal is to make it easy for people to learn about me and our positive conservative message,” said Briggs. “Recent campaigns have taught us all a lot of about the importance of technology in communicating with the voter directly. We are committed to doing a better job of reaching out to the people of Tennessee’s District 7,” Briggs said. Early voting begins July 18 with the primary set for August 7. As always, send me your campaign stuff for posting. 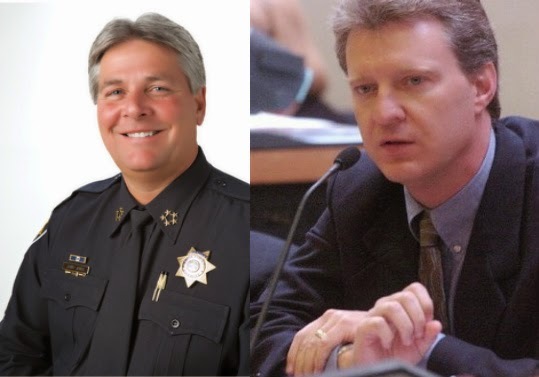 Incoming Knox County Criminal Court Clerk Mike Hammond on Monday announced a number of initiatives geared toward “moving the department into the 21 century” and appointed long-time chief of magistrates Richard Major to serve as his top staffer. Hammond, who defeated two other Republican candidates in last Tuesday’s primary and doesn’t face opposition in August, will take over an office embattled in controversy on Sept. 2. Hammond said he’ll work with the county mayor’s office and the county’s information technology department to create a “comprehensive” and interactive website that allows the community to easily access information and pay fines and fees online. He also wants to cross-train employees and create written procedures for the department. 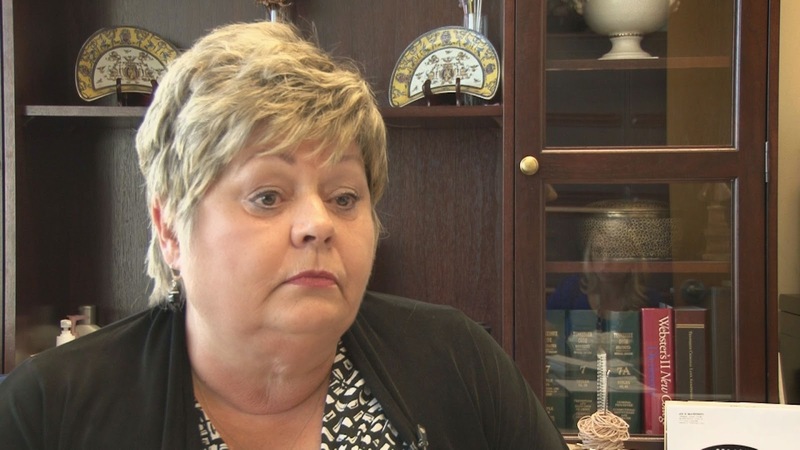 Current Criminal Court Clerk Joy McCroskey, who took over in mid-2008, opted not to seek re-election after a WBIR 10News investigation revealed that a short supply of technology and training inside her office created a series of problems that led to wrongful arrests, cases set aside due to errors and residents temporarily losing their right to vote. McCroskey, whose office is the official record keeper for Criminal Court, General Session Court, and Fourth Circuit Court, denied much of the allegations. Hammond said he also wants to meet with staffers and will “give them all a chance” to stay on board. He said he also will rely on Major’s expertise to help him implement his plans. Major will replace current chief deputy Janice Norman who will retire at the end of August. Hammond declined to say how much he’ll earn, although the two have discussed a salary range. Norman currently makes $110,000 annually. 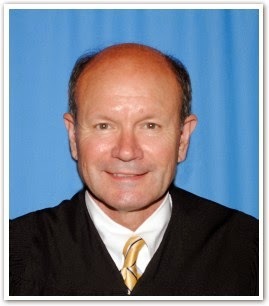 Major was appointed to the magistrate’s office in 2006 and took over as supervisor of the general sessions court magistrates in 2009. He earned political science and law degrees from the University of Tennessee. Major on Monday said that he currently manages five attorneys and a number of clerks. His office, he said, is responsible for generating warrants and paperwork for the general sessions court. The Knox County Commission will appoint his replacement in the coming months. You can read the entire story, RIGHT HERE. Fred Flintstone for judge? What about Mad Magazine mascot Alfred E. Newman, rapper Eminem, or actor-comedian Danny Devito? Perhaps, Stephen Colbert would make a good choice. Or a statement, anyway. What about Mickey Mouse, Bozo the Clown or even Bruce Pearl? Those were just a handful of the 1,466 unique names that Knox County voters took the time to write in as candidates on Tuesday’s ballot, according to 74-page list that election officials provided to WBIR 10 News. Click RIGHT SMACK HERE for the entire story and RIGHT SMACK HERE to check out all the names that garnered votes, including literary giants Mark Twain and Mike Donila. Heh. First, congratulations to all the winners from last night’s elections. To all those who lost, well, thanks for running. It takes guts (and a little ego) to take the public abuse. Personally, I hope to see some of you in another campaign soon. There were a number of folks who didn’t win last night who were certainly qualified to run the office that they sought. OK, that said, I’ll probably be looking at some of the races (off and on) during the next few days. This post focuses on the school board seats and what role the current board and administration played in the outcome. I don’t buy it. In fact, after August the board’s makeup and philosophy could get a major overhaul. There were five races last night, although opposition against Patti Lou Bounds dropped out before one contest began, so she’s automatically in. So, let’s get to the contested ones. District 4: Incumbent Lynne Fugate won easily. I’m not surprised. Sally Absher campaigned hard, but her ties to the tea party concerned some folks. And no one knew who the other candidate, Jeffrey Scott Clark, was. Not sure why he even ran. That said, District 4 was always a safe haven for Fugate and the school system’s administration, particularly Superintendent Jim McIntyre. The district likes the direction they’re taking, and Sequoyah Hills, a strong voting bloc, has always supported them. District 1: No way this should have been close. Gloria Deathridge should have walked away with 60 percent of the vote. Her opponents Marshall Walker, who will face her in the August general election, and Robert Boyd, were practically non-existent during the campaign. That said, combine Walker and Boyd’s numbers and they beat Deathridge roughly 53.5 to 46.5 No surprise here. Residents are upset with Deathridge, particularly her move several years ago to outsource custodian services. If Walker wises up and turns this into a real race in August, she could be toast. Still, even if he makes it close and she wins, it’s still reflects poorly on Deathridge. Incumbents should run away with the vote in a one-on-one contest.I expect many of Boyd's supporters to back Walker. District 6: Pretty much everyone knew this was going into August with Terry Hill taking on someone. We now know it’s going to be Sandra Rowcliffe – the so-called establishment’s choice. She had major support from big players, including the chamber and a former UT coach, as well as Superintendent McIntyre. There's no hiding it, she’s one of his – and the current board’s – biggest cheerleaders. That said, she got THUMPED. And no amount of "row, row, rowing the vote" will change that in August. District 9: Amber Rountree over incumbent Pam Trainor. Enough said. This was the true litmus test, and it’s more representative of the overall community (despite the wise-a$$ remarks folks like to make about South Knoxville. Face it, you’re just jealous.). Hill is the obvious favorite going into August and Walker has a good shot. If he wins that makes it 3-1 in the overhaul department (and 4-1 if you count the Bounds’ race). Is that good? Bad? Who knows. 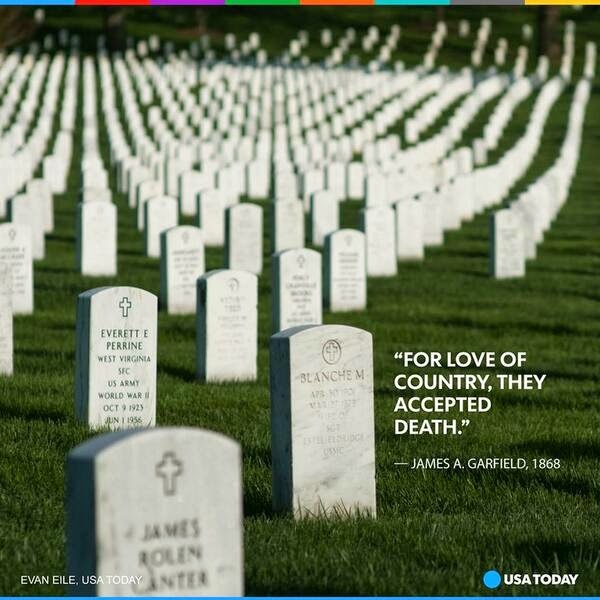 But people are not content right now. Election Day for the Knox County primaries is tomorrow and the weather should be great, so there’s no excuse not to vote. Polls will be open from 8 a.m. to 8 p.m. However, keep in mind that schools are open, so finding a parking spot could be tough if that’s where your polling place is located. So far, turnout has been dismal with about 5.3 percent, or 14,640, of the county’s 275,000 registered voters hitting the ballot boxes during early voting. That means every vote really could count and it’s possible that only a handful of votes could affect the outcome of some of the contests. Sheriff: With no mayoral race, most eyes are turning to the sheriff’s contest, probably the second most well-known political seat in the county. Here, incumbent Jimmy “J.J.” Jones faces challengers and former Knox County Sheriff’s Office employees Bobby Waggoner and Charles “Sam” Hammett in the Republican Primary. Since no Democrats filed to run, the winner – barring an almost miraculous victory by a write-in candidate – will be determined Tuesday. Criminal Court Clerk: Incumbent Joy McCroskey’s problems in this office were well-documented. Mistakes mostly tied to poor training and inadequate technology led to a series of problems including wrongful arrests. McCroskey opted not to seek re-election, so it’s now down to long-time Knox County Commissioner Mike Hammond and two local attorneys, Steve Williams and Jason Hunnicutt, a prosecutor in the District Attorney General’s Office. All three have promised swift changes. Like the sheriff’s race, no Democrats filed to run. Trustee: This race pits two local political heavyweights – incumbent and former county commissioner Craig Leuthold and former city councilman and county commissioner Ed Shouse – against each other. In addition, a third candidate, former Trustee’s Office worker Barry Hawkins is in it, too. The winner will take on James Berrier, a Democrat, in the August General Election. Board of Education: The non-partisan school board races have seen an unusual amount of activity this go around, and most of it is connected to teacher evaluations, student testing and the board’s move to extend Superintendent Jim McIntyre’s contract an additional year, even though he had three years left on it. The board has nine slots, and five seats are up, although one – District 7 – is already decided since political newcomer Patti Lou Bounds won’t face opposition. The top two vote-getters – unless someone gets 50 percent of the vote plus an additional one – will face each other in August. Of the four contested seats, one – District 9, which pits incumbent Pam Trainor against political newcomer Amber Rountree – will be decided Tuesday. The others each feature three or more candidates and might not get settled until August. Circuit Court Judge: If you’re a Democrat, there’s not a whole lot to get excited about at this point. There’s only one contested Democratic Primary: Circuit Court Judge Division IV, which features two lawyers Daniel Kidd and David Valone. (Only 1,729 voted in the Democratic Primary during early voting.) The winner head to August where they will meet the top vote-getter in the Republican Primary – either Pattie Jane Lay or Greg McMillan. The Circuit Court Judge Division I seat also is up this year, and that one features Republicans Ray Jenkins, Billy Stokes and Kristi Davis. No Democrats filed to run in this one. Jenkins and Stokes have name recognition, but Davis is a strong contender. This one could be close. County Commission: Four of the board’s 11 seats are up this year, although Bob Thomas is pretty much a lock for one of the at-large seats, since he doesn’t have a challenger. Political newcomers Randy Smith and Billy Stephens will vie for the District 3 seats. Bo Bennett and Charles Busler challenge for the District 7 seat. Michele Carringer, a former commissioner and Ed Brantley, a long-time local radio personality, face off in the other at-large seat. 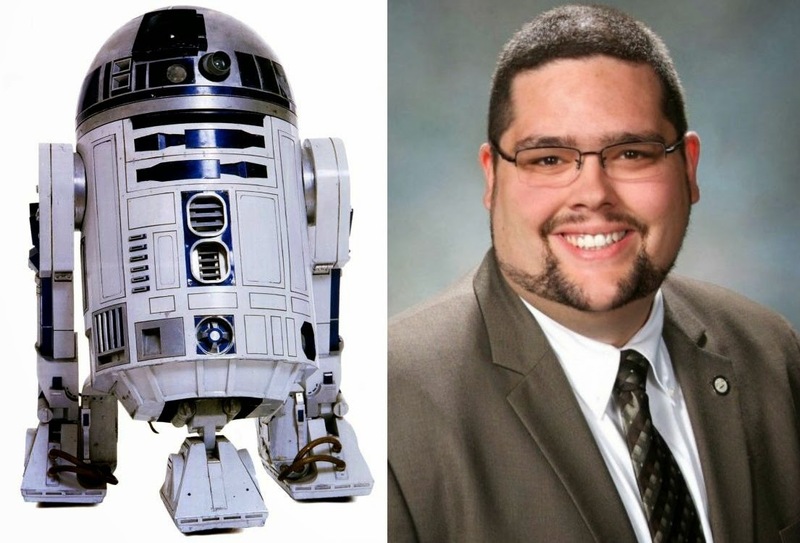 So, everyone who reads this blog should know by now that I occasionally drop a few Star Wars references. Sometimes a lot of them. Well, today – May 4 – is Star Wars Day, the unofficial holiday created by the fans to celebrate the franchise. And in that spirit, I’m gonna have a little fun. 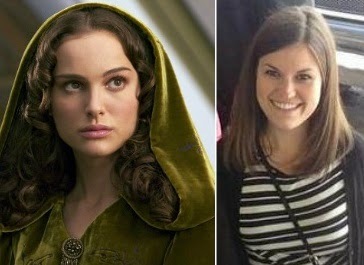 Think of this as one of those “switched at birth” segments. Don’t take this too seriously. I didn’t. Heh. And who runs – sort of – at least one side of the City County Building? Knox County Mayor Tim Burchett does. Of course, Chewie has a partner. 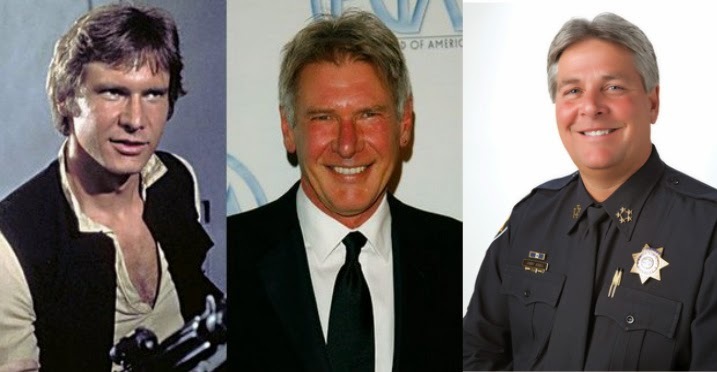 So, I guess that means the Man with the Badge is really Han Solo. 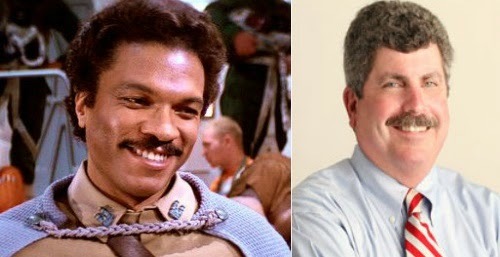 Or is Craig Leuthold really Han Solo? Wait, wait, wait! 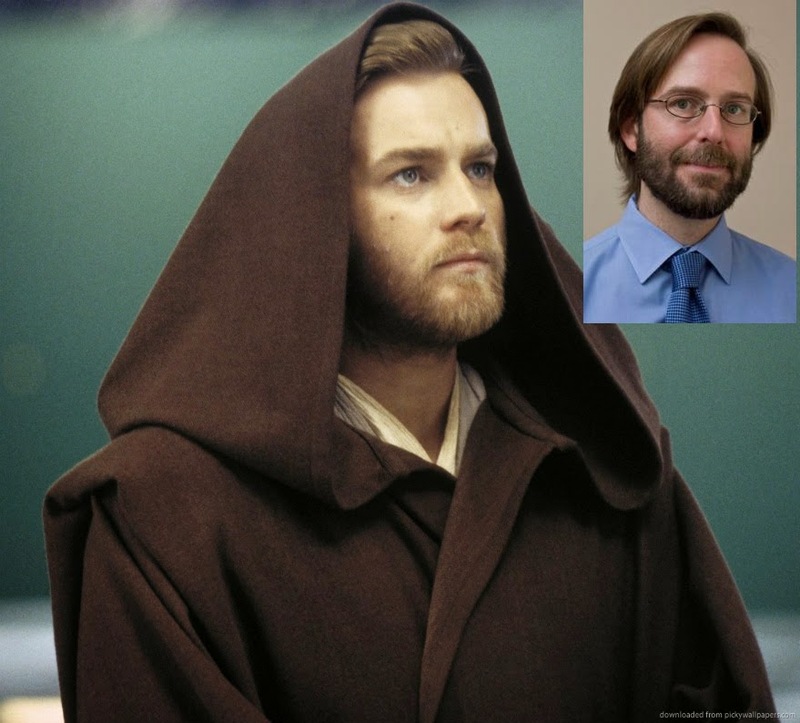 Maybe Craig is really JJ in disguise? Heh. OK, maybe that one didn’t work. Let’s find a better comparison. 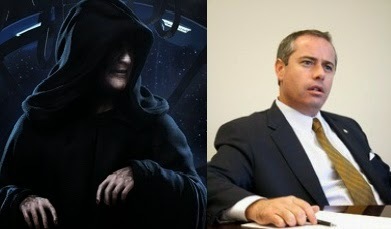 What about the Emperor and Burchett’s chief of staff? “Goooooood.” All that’s missing now is a white cat to stroke. Actually, I liked this one so much, I did two of ‘em. Course this saga needs a hero. And who does Burchett call to crunch numbers? Well, none other than the Casual One, Chris Caldwell. 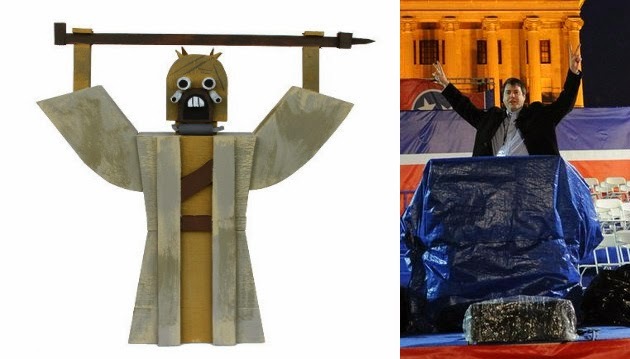 Give that man a lightsaber, folks! 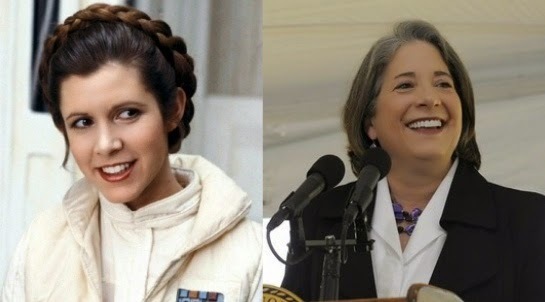 ‘Course you can’t have Star Wars without Princess Leia. And, yes, I’m trying to score points. Anyhoo, moving along. 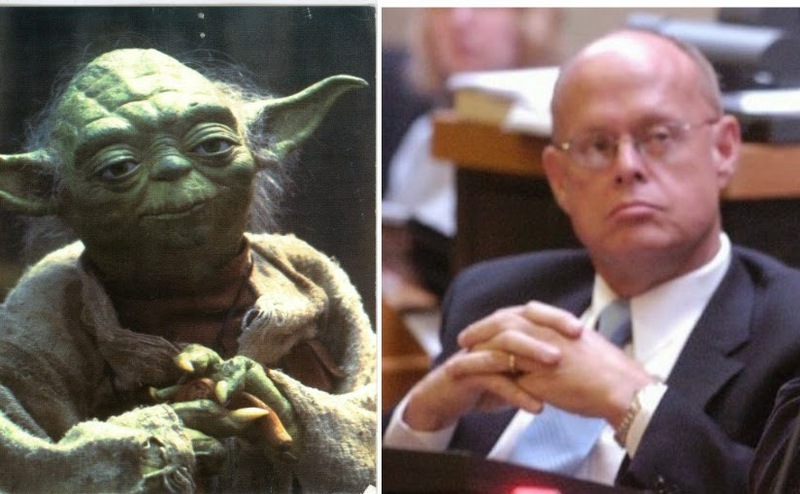 Knox County Commissioner Mike Hammond might not be 900 years old, but I betcha he’s got a few Jedi mind tricks up his sleeve. Now, I’d be remiss if I didn’t include Lando in this little shindig. Cause he’s got the ‘stache! And, if you got a ‘stache, then you have to include a beard. 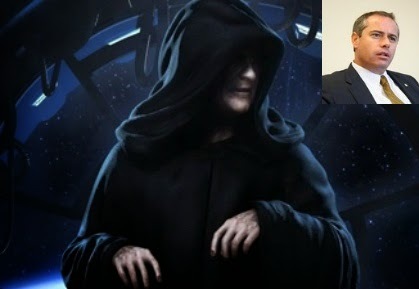 Obi-Wan Kenobi fits that bill. 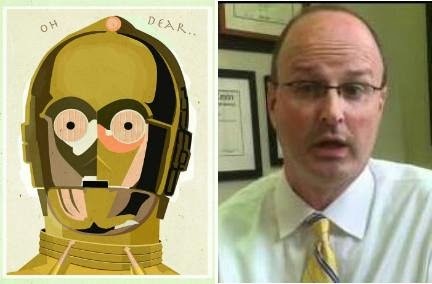 Now in Star Wars, Han Solo had a penchant for calling C3-PO the “professor.” Not sure it’s apropos to Superintendent Jim McIntyre since he’s had about a week’s worth of classroom experience, but, hey, Superintendent C-3PO has a nice ring to it. OK, OK, that’s not very fair. Michael Grider doesn’t really hang much with McIntyre. He’s more of a Burchett guy. ‘Cause, you know, he does work for him. 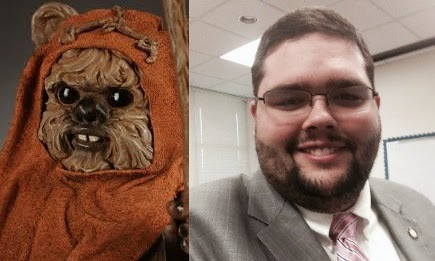 And since Burchett is actually Chewbacca, that would mean that mini-Burchett would be more like Wicket, the scout warrior, Ewok. Finally, we get to the Sandman, lurking around raising cane. Heh. 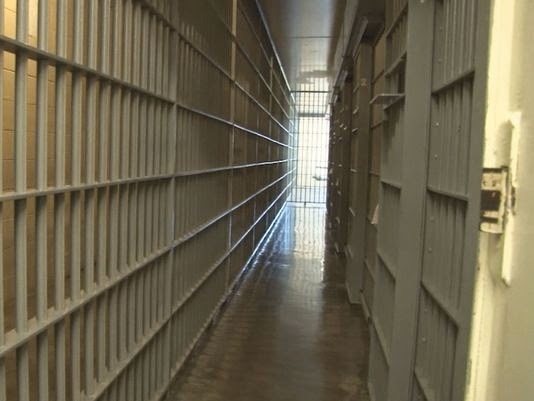 We’ve got a story regarding the safety center, a long talked about proposal that would help take care of the locally mentally ill and maybe help ease the overcrowding problem at the local county clink. The county asked for proposals to build and operate the center and in February wrapped up the bidding process. Only Helen Ross McNabb submitted a proposal. I’m pretty sure no one has even looked at it. It’s certainly not been vetted. There’s a public safety task force designed to look into these things. I think they might have met in February. They have nothing scheduled. In the meantime, Andy Black, who’s run Helen Ross since forever and was a huge proponent of the safety center is retiring. Randy Nichols, the county’s district attorney general and another huge proponent, also is retiring. Then there’s the debate over who is going to pay for this thing. Knox County Mayor Tim Burchett says there’s agreement that if the county puts up $1 million (which it has) and the city puts up $1 million (which it hasn’t), then the state will put up $1 million (it hasn’t). Now, the city folks say there is no agreement, and were pretty surprised that the mayor said otherwise. Also, the city isn’t so sure it’s willing to put up $1 million. Don’t get me wrong: Officials there want to help, but they want to see a “viable” plan first. In the meantime, there’s the issue of whether city residents get double-billed. The county says the jail is filled mostly with folks from the city. The city, however, points out that the sheriff’s office and jail is a county responsibility. Further, city officials note that city residents pay county taxes. So, if the city chips in $1 million and they pay county taxes, are they paying double? Well, it does sound like it. Burchett says he’s willing to wait another year and get everyone on the same page. If not, then they’ll have to go to Plan B. At this point there is no Plan B. In another year, however, I suspect they’ll have to come up with one. Knox County Mayor Tim Burchett today publicly released his proposed budget, a $730 million "no frills" spending plan that doesn't increases taxes, dip into reserves, lay off employees or cut services. It's not an "exciting" budget, the mayor stressed, and it doesn't fully fund a number of "unlimited requests." For example, it dedicates $$427.8 million – a $7.9 million increase from the current year – to the school system, but doesn't include an additional $4.55 million that school leaders requested to cover a 1.8 percent raise for teachers. But, he added: "Overall, I think it's fair to say that this is a straight forward and lean budget." The proposed budget is up $15.1 million from the current spending plan with more than half of the increase dedicated to the school system. The budget also includes a $164.3 million general fund, which covers much of the county's which covers much of the day-to-day operations and the Knox County Sheriff's Office. That fund jumped slightly by $2.7 million, including about an extra $1 million for law enforcement. Overall, the Sheriff's Office will get $77.5 million. Burchett also proposed a $31.2 million capital improvement plan with about half of it set aside for schools; $13.8 million for highway and street-related initiatives that will include Phase II of Ball Camp Drive; $775,000 to relocate the Carter Convenience Center; $2.5 million for "dangerous" intersection improvements; $1.1 million for 30 Sheriff's Office vehicles; $700,000 in Sheriff's Office security upgrades; $1 million for engineering and public works vehicles; $350,000 for an HVAC system at the animal center; and $250,000 for the Information Technology Department. The county, through its general fund and hotel-motel tax revenues, also will set aside more than$1.9 million for local organizations. For example, the Arts & Cultural Alliance of Greater Knoxville will get $375,000. The Salvation Army, Keep Knoxville Beautiful, the Sertoma Center, Beck Cultural Center, Friends of Literacy and dozens of other non-profit operations also will get a cut. You can read the full story right smack here. You can find the mayor's budget speech right over here.